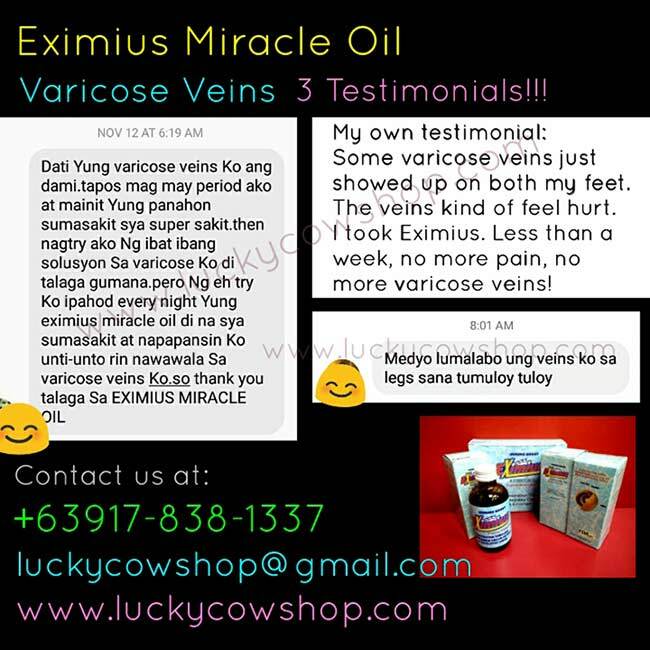 Here are three testimonials of different people who had tried Eximius Oil.These people are me and two people I know. There's this one day when I felt uneasy on my feet. Not that it really hurts. It's something like annoying little pain. I really can't explain how it feels like. I can see fine green lines of veins on my feet. I took Eximius Oil and is hopeful to make the pain go away. And yes it did for just 3 days. I can't see the veins anymore. Then I stop taking Eximius Oil. After 2 days, the veins seems to come back the that annoying little ticking pain is back. 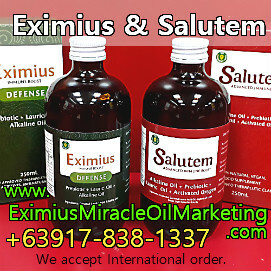 I take Eximius Oil again for 3 days. And the pain is gone for good :) I can't see the veins anymore. It's totally gone! She has some varicose veins on her legs. She's applying Eximius Oil on the veins. Her veins are becoming less visible. Before my varicose veins are many. My varicose veins hurts so bad when I have my menstruation period and/or when the weather season is so hot. I had tried different stuff but all didn't work.